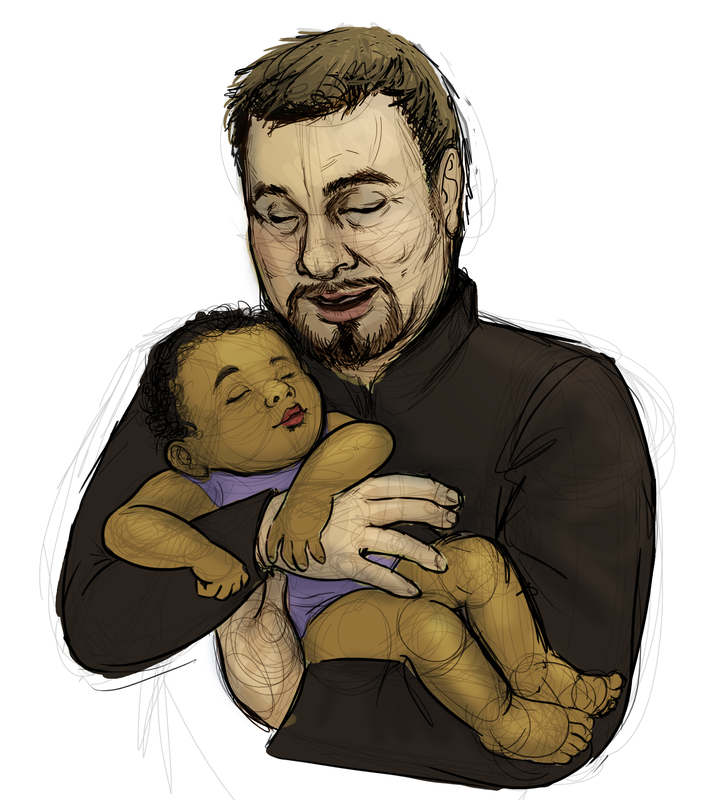 Isaac – official palace wizard, Ashkenazi dreamboat, and surrogate father to the queen – singing Yiddish lullabies to her baby, Princess Naomi. Characters from A Harvest of Ripe Figs drawn by misselaney. Here’s my actual grandfather singing in Yiddish. I’m posting this for his 91st birthday. This entry was posted in Uncategorized and tagged ashkenazi, babies, baby, grandfather, grandpa, isaac, jew, jewish, jews, yiddish, zayde. Bookmark the permalink.